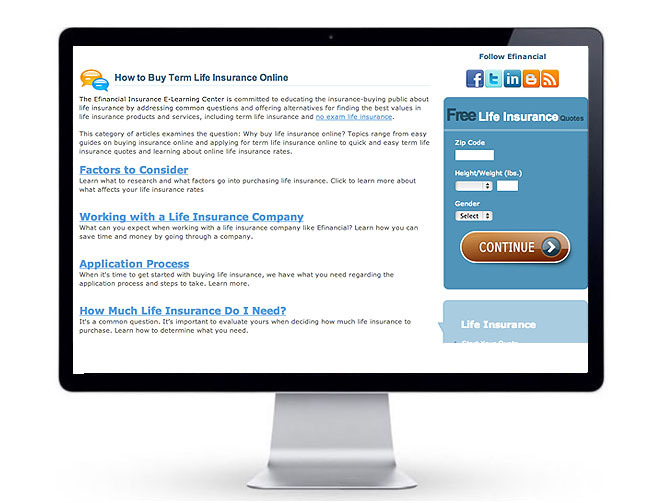 Mission: Drive traffic to Efinancial insurance products, the Efinancial Insurance Blog and the Efinancial Learning Center featuring a compendium of dozens of consumer-advocacy articles on getting real value from insurance purchases. Celebrities create instant recognition and credibility for a brand marketer, even those that are part of the new era of Reality Television. 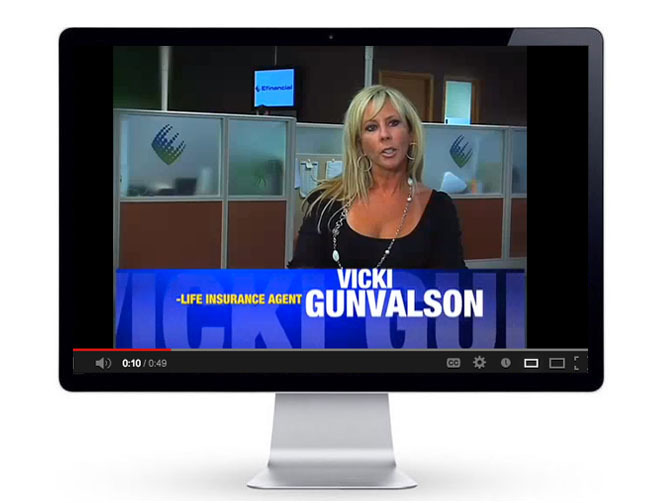 Efinancial was fortunate to count Vicki Gunvalson, of The Real Housewives of Orange County, as a licensed insurance agent. 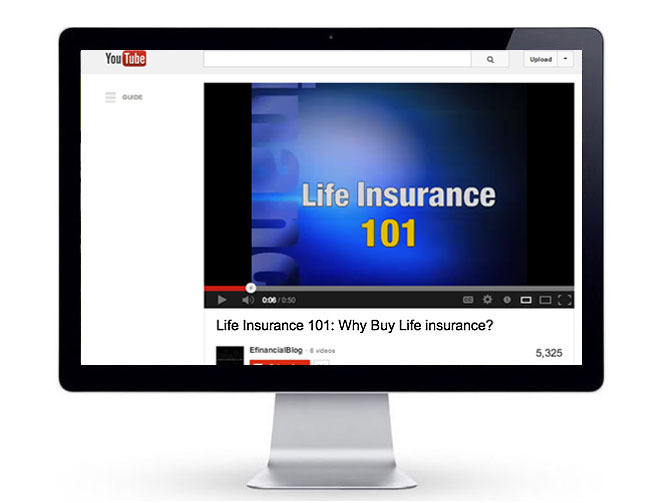 A series of "Life Insurance 101" videos in a browsable Q&A format presented insurance advice in short-burst, 90-second insurance tutorials. 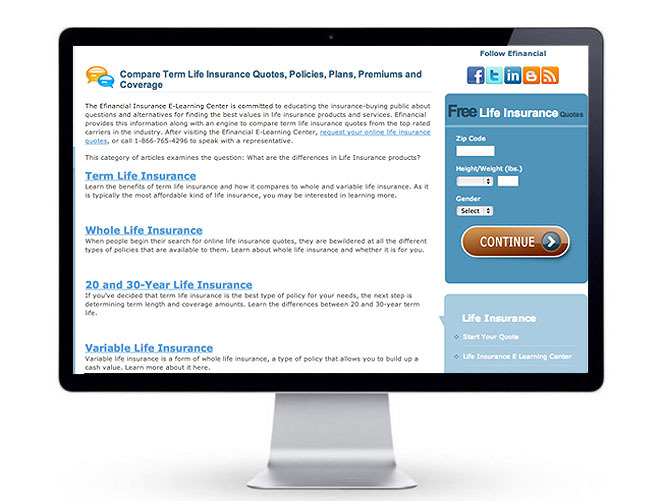 The lessons built upon a SearchWrite-created E-Learning Center replete with a knowledge-base of life insurance information. 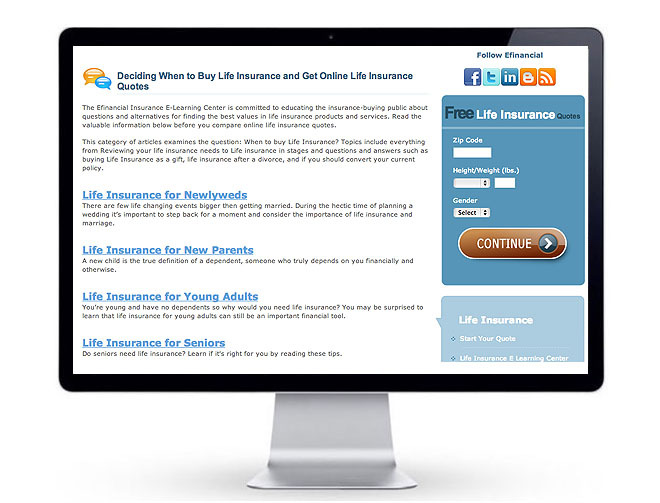 A keyword-rich, link-worthy Learning Center should be central to any company with a rich array of product literature, product manuals or training materials, although SearchWrite built this one from scratch. Perspectives: With SearchWrite's help, Efinancial nearly doubled the size of its Call Center, won numerous accolades for its Blog (*authored by SearchWrite) and drove sales leads to an all-time high.